Glenda Sue (McBride) Chatburn was born on January 16, 1941 in Waldron, Missouri to Roy and Arlie (Holsted) McBride. She grew up in Missouri and later moved to Council Bluffs, Iowa. She has lived in the Dunlap area for over 20 years. When she became ill she moved to a nursing home in Denison, Iowa. She had several different jobs, including: driving the school bus, Ford, Levi’s, the Dunlap Care Center and home health. In her early years she drove stock cars and bragged that she could take on just about anyone. She enjoyed telling jokes and making people laugh. She couldn’t read a bit of music but could pick up any instrument and figure out how to play a tune. She enjoyed playing cards and was obsessed with John Wayne. She would watch his movies over and over, along with any western movie. She also had a special power! You didn’t dare upset her because she could throw a shoe around the corner and get you from quite a distance. She also had eyes in the back of her head. She knew everything! Glenda had some rough edges but as she aged she found the Lord and was saved. So this means we will be reunited with her again someday. Praise GOD! 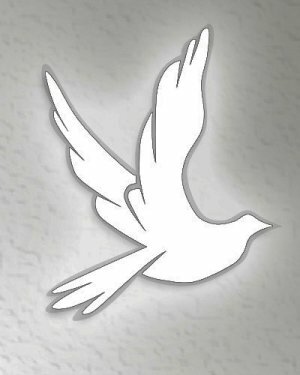 Glenda died on January 18, 2019 at Eventide Lutheran Home in Denison, Iowa, attaining the age of 78 years and two days. Glenda was preceded in death by her parents and sisters, Hazel and her husband Ken Limbeck, Helen McCale and Nancy Boyle. She is survived by her five children, Donis and her husband Gene Kline of Earling, Iowa, Charlotte and her husband Jack Smith of Manilla, Iowa, Wayne Damon and his wife Corinne of Atlantic, Iowa, Scott Damon and his wife Diane of Cumberland, Iowa and William “Bill” Damon and his wife Sandy of Wiota, Iowa; 14 grandchildren; 30 great-grandchildren; and many other relatives and friends. Glenda's final resting place will be in Bosworth, Missouri.